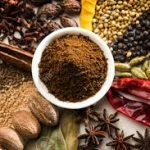 You will walk away not just with the recipe, but also with some Garam Masala! How cool is that? Allergies/intolerances? I need to know at once. Sign up for Slurrrrp updates here. A private class, individual or group, is always possible. Options page gives you all the details. Or contact Veena directly. Thanks.